This 5-to-6-hour cooking class in Cinque Terre teaches you how to cook just like an Italian local. 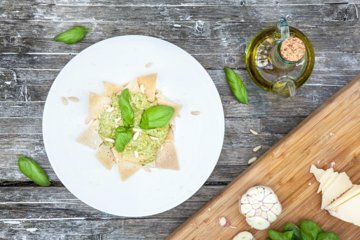 Learn how to make homemade pasta by creating the pasta dough and sauce from scratch, as well as a Ligurian vegetable tart. Walk away from your class with printed recipes, so you can make these special dishes again and again. This tour also includes a boat trip in between villages from the La Spezia Centrale railway station area.